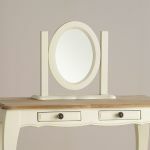 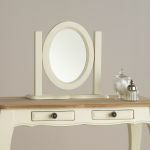 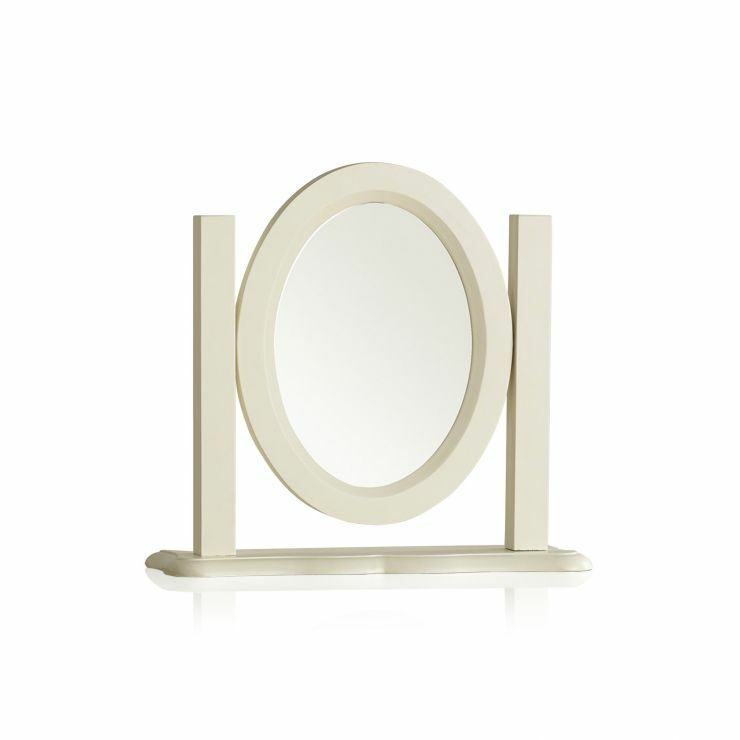 The free-standing oval Bella Brushed Oak and Cream Painted Dressing Table Mirror possesses fetching smooth lines that flow from the mirror all the way to the ornate stand. 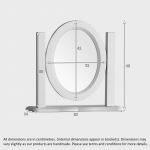 The swivel mechanism allows you to adjust it to your ideal angle, whether you are using it for your makeup and hair routine, or just wish to reflect light into the room. 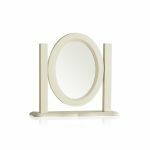 In keeping with all of our ranges, even this small mirror is handcrafted by skilled woodworkers from A-grade cuts of hardwood.